The Phoenix Schools offers its services in child education. They provide lessons to the child by playing, exploring that enables the child to learn faster. 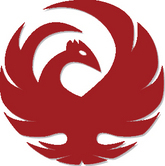 The Phoenix Schools offer education in both part time and full time basis. Teams of expert and experienced teachers in child caring guide the children to develop self-esteem among them. Children participate in language classes and various activities including games and cooking. Their portfolio also include early reading program, baby signs, handwriting and many other program to help the children learning the basics of education. The Phoenix schools also offer schedule flexibility, communication and good value. There are currently 0 consumer reviews about Phoenix Schools available. Share your review. Please take a note that you are about to post a public review about Phoenix Schools corporate office on CorporateOffice.com. This review will be public, so please do not post any of your personal information on this website. If you would like to contact the corporate offices of Phoenix Schools, please use their contact information such as their phone number, website, and address listed above to contact them. However, sometimes staff from Phoenix Schools headquarters do read the reviews on this website.